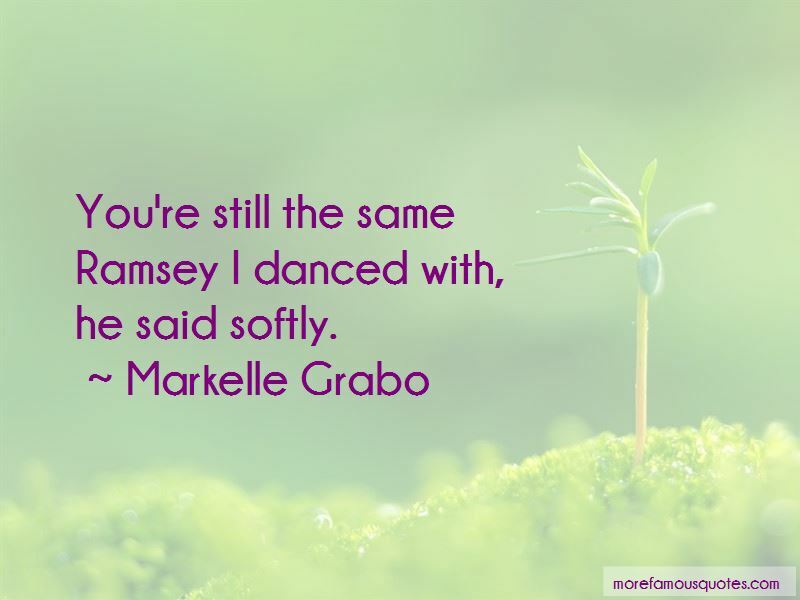 Enjoy the top 19 famous quotes, sayings and quotations by Markelle Grabo. “I hate going through this when we just found ... ," his voice trailed off. I was all too aware of his hands resting on my lower back, their imprints like sweet flames that seemed to go through the thin fabric of my dress and onto my skin. “Then I wondered, what if? What if he kissed me? What if he told me I was beautiful? What if he told me he loved me? They were a deep emerald green, the exact same color as mine, and they glowed with an intensity I had never witnessed before. A slash of silver crossed each one, the sun's reflection making them sparkle like dancing crystals. The emerald irises appeared to be swirling in circles, creating the illusion that his eyes were never-ending. Flecks of darker emerald clustered around each pupil made my breath catch in my throat. Suddenly, my disheartened mood vanished, almost as if I had never felt sadness before. Something about these eyes held me in place, as if I had found a balance, blanketing me in a cocoon of comfort, free of worries and concerns. Drop something?" he asked, trying to suppress a smile but failing miserably at the act. I nodded and smiled back at him sheepishly, unable to find my voice to respond in any other way. "Interested in locks, I see," he commented. "Well, here you go," he said, and he handed the book to me. Oh crap, why did I just nod? Take the book! I screamed inside my head. Take it! I took it slowly. He kept looking at me, smiling. “The last thing I heard before falling asleep was, "Everything is okay now." “I'm scared, all right?" I said. I could feel my stomach churn as my gaze rested on the wooden trunk. “So you aren't going to tell me what just happened?" I deduced. The fact was clearly readable across his face. He looked me over again and sighed. "Just be careful in the future," he said. "How can I be careful when I have no idea why this just happened? Water grabbed me!" I cried, gesturing with my hands toward the side of the bridge where I once lay. "How is that possible?" When he didn't respond to my questions, I probed him further, trying to get him to answer me. "What about you, with the mud and the rock and the crazy out-of-thin-air thing? What was that?" I demanded to know. "It was saving your life," he said, a hint of petulance creeping into his tone. "Be careful in the future, Ramsey." Ah, Zora, you are so naive," the fire fairy said with a hearty chuckle. "You have no idea what happened to them, do you? You have no clue as to what happened to your parents. “My Zora senses are tingling," I said. Nathan looked at me blankly. "Right, you don't know anything about Spiderman," I remembered. I'm sorry I ruined your homecoming." He kissed me once more and then shook his head. "The only thing that could ruin this is not being with you. 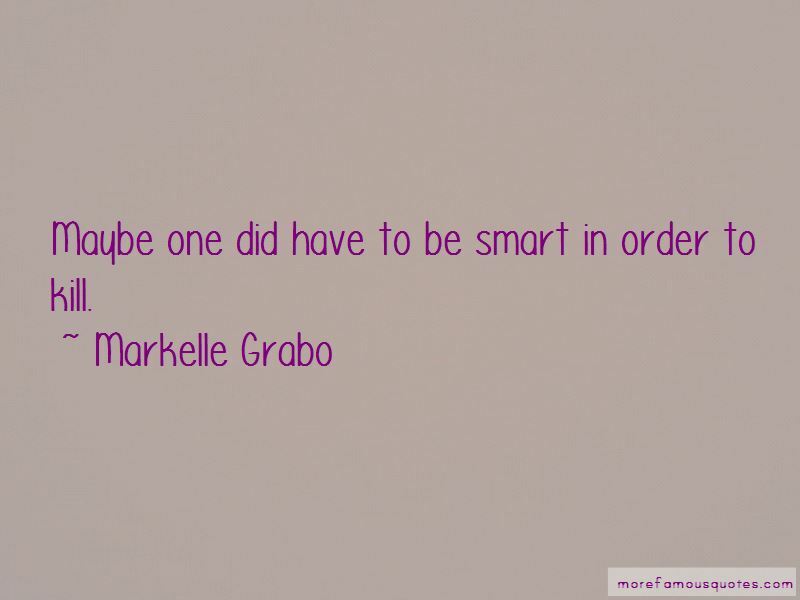 Want to see more pictures of Markelle Grabo quotes? 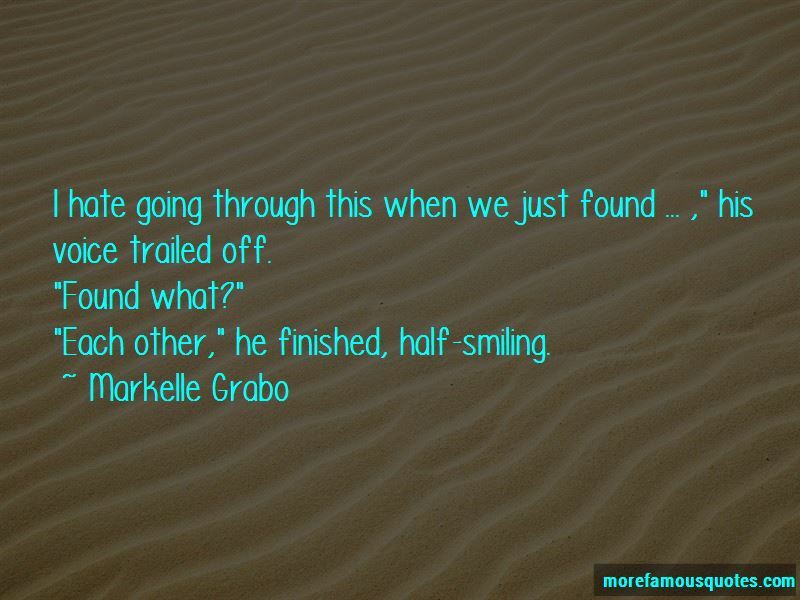 Click on image of Markelle Grabo quotes to view full size.